No individual or group has taken responsibility for the attack as of yet. It’s believed that the attacks are being carried out at a large scale on government infrastructure and that those issuing the attacks have changed targets to continue disruption. 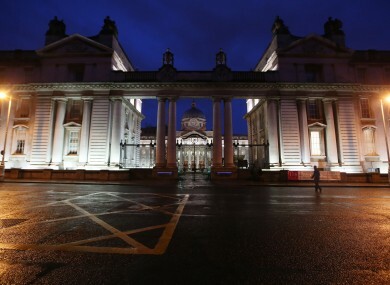 The Office of Public Expenditure and Reform issued a statement on the attack saying that “a number of DDoS attacks are currently targeting Government Infrastructure,” and have resulted in “periodic disruption” for a number of its services. These attacks have resulted in periodic disruption that has resulted in a number of Government websites becoming unavailable to the public. We have implemented our contingency plans which are designed to minimise this disruption. As with all DDoS attacks it is not possible to identify the exact source of the attack. Due to technical issues with Government networks, our website and email are currently unavailable. Apologies for any inconvenience. DDoS attacks which overwhelms services with fake traffic from multiple sources. Such attacks cause online services to slow down or experience downtime as it tries to cope with the large influx of traffic. The government’s sites were one of a number of Irish sites which suffered from a DDoS attack. Earlier this week, the National Lottery experienced a two hour outage because of a similar attack while Boards.ie experienced a similar issue. Email “Government websites hit by cyberattack”. Feedback on “Government websites hit by cyberattack”.